Sky and Space Global (ASX:SAS) has secured new commercial contracts to sell the company’s nano-satellite bandwidth to end user customers. Adding to its existing customer base, SAS entered into a binding Letter of Intent with Sat-Space Africa Ltd. (SSA), which agreed to purchase all available communication bandwidth from its initial 3 diamonds nano-satellite demonstration platform. 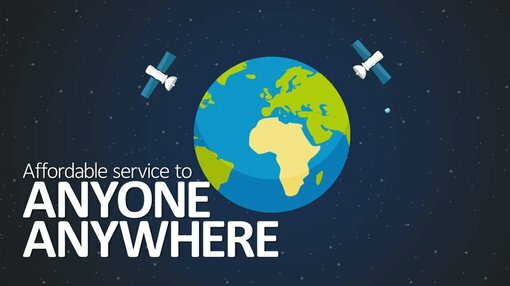 Sat Space Africa has operations and infrastructure in 27 African countries and its support for SAS is seen to not only validate the commercial viability of SAS’s technology, but could open up a much broader customer base, including key new industry targets mining and transportation. These targets would also be a source of potential early stage revenue, with estimated revenue of US$500,000 (AU$378,000) per annum for the 3-Diamonds demonstration nano-sateliites. Potential revenue could grow to US$2M per annum once SAS’s Equatorial constellation is fully operational. It should be noted that the arrangement is still in its very early stages and anything can happen. Investors should approach any investment decision in SAS with caution and seek professional financial advice. SAS intends to launch an Equatorial constellation of 200 nano-satellites commencing mid-2018. The quantum of bandwidth created from the full constellation is expected to generate revenues circa $500 million per annum. SAS and SSA are currently working together to negotiate the progression of the binding letter of intent into a full commercial contract. “We consider Sky and Space Global a strategic partner and will keep working with them to secure more agreements in the narrow-band communications market,” said Sat Space Africa’s MD, Shimri Lotan.